Ghajnsielem, just off Mgarr harbour, means simply Salem’s spring; Salem is an extinct Arabic name ghajnsielem took its name from a spring situated at the mouth of Wied Simirat, the valley that now ends in Pjazza tad-Dehra in the very centre of the village. The monument in the square honours Anglu Grech, a farmer who lived in the vicinity and who, according to tradition, had a vision from the Blessed Virgin Mary requesting him to build a church. A church in honour of Our Lady of Loreto was built by 1820 and it still stands. 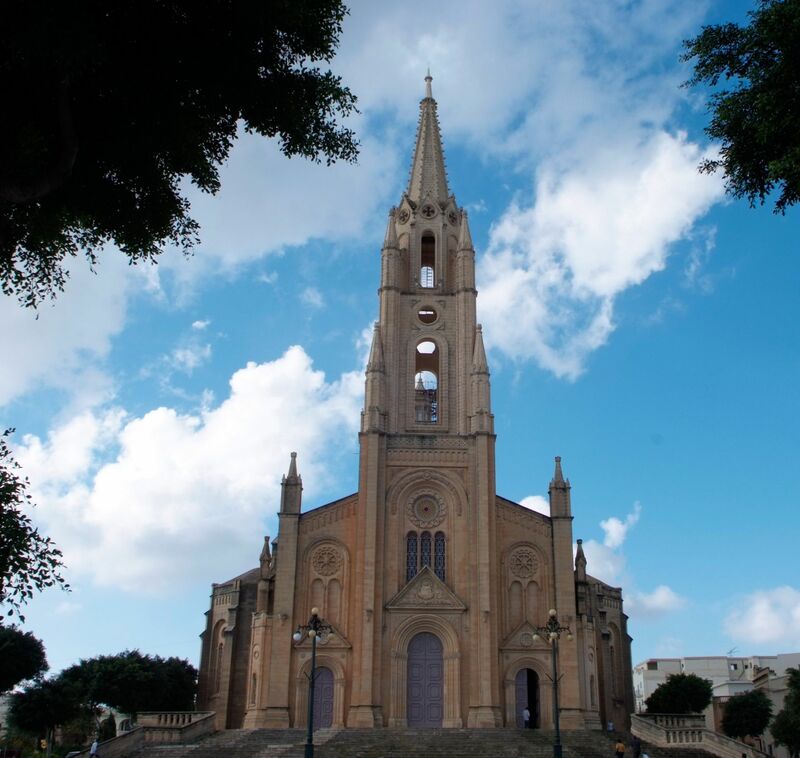 It became a parish church during the bishopric of Publius Maria Sant on 26 January 1855. Ghajnsielem has now a new parish church built in gothic style architecture. Its foundation stone was laid on 14 September 1924. It was blessed on 27 August 1978 and consecrated on 18 August 1989. On 3 Sepember 1965, the parish became Archipresbyteral. The derelict chapel of Saint Cecilia, at the end of village on the way to Rabat, is the oldest chapel on Gozo.